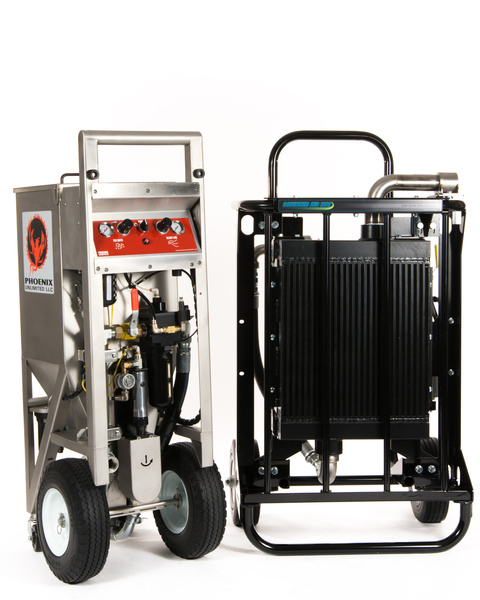 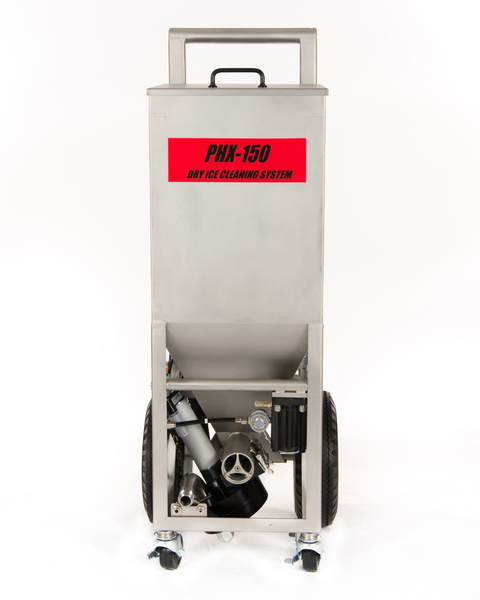 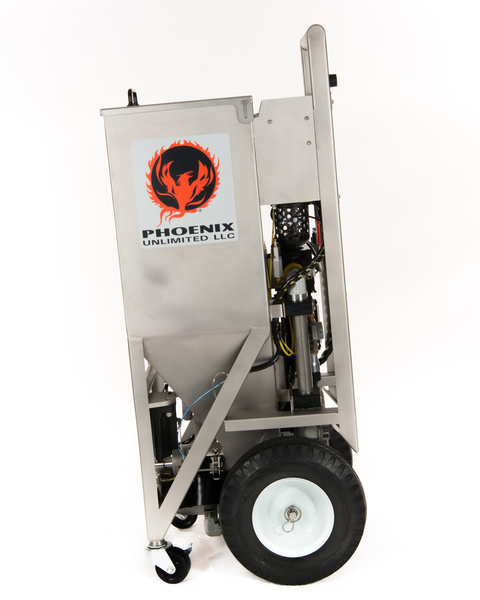 The Phoenix PHX-150 is an effective and light weight, yet heavy duty dry ice blasting solution. 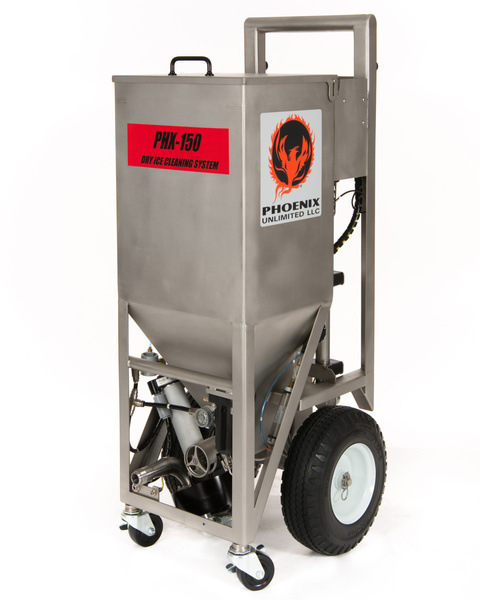 The 47" upright frame and large wheels make this an extremely rugged and durable piece of equipment that is easy to move. 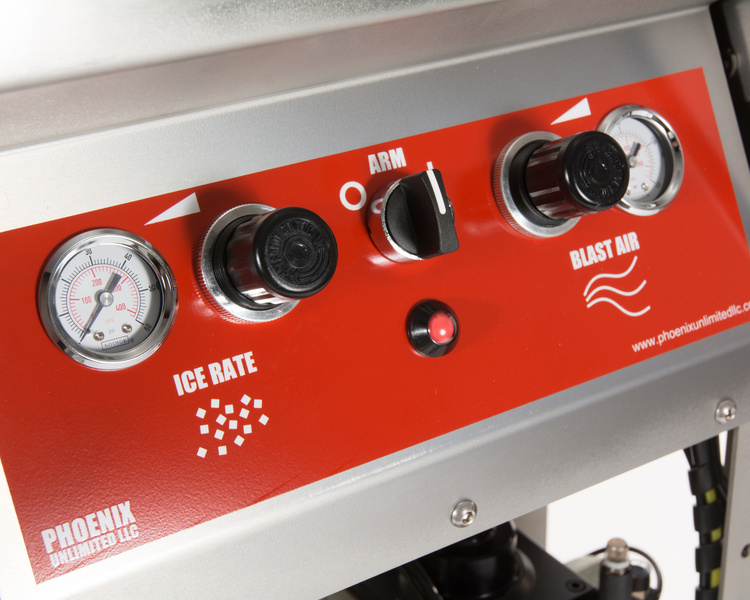 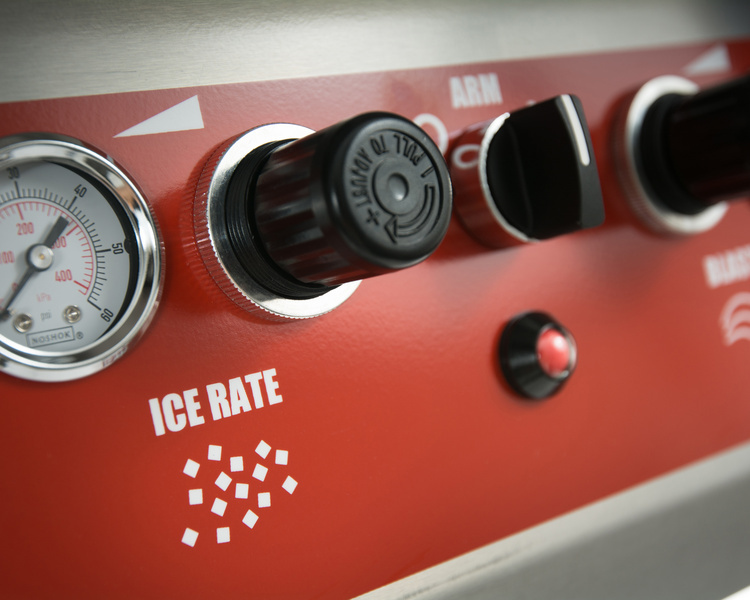 The ergonomic controls, quick air hose connection, and quick release airlock all combined with the stainless steel construction create an economical, highly efficient unit. 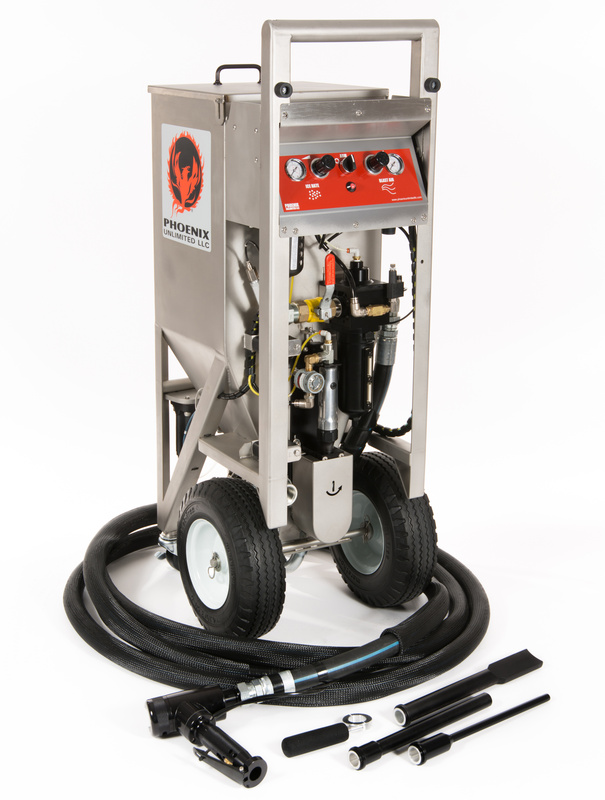 As an all pneumatic single hose option, it is optimal for applications such as fire restoration where an electrical unit just won't work. 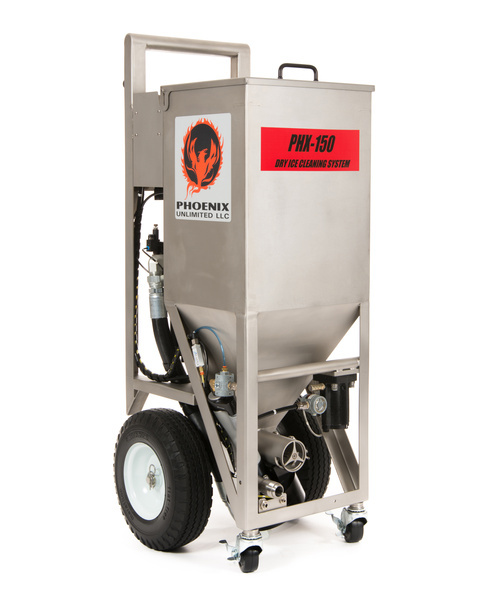 With safety features such as interlocks and guards combined with a hopper dry ice capacity of over 100 pounds, the Phoenix PHX-150 is for the professional contractor. 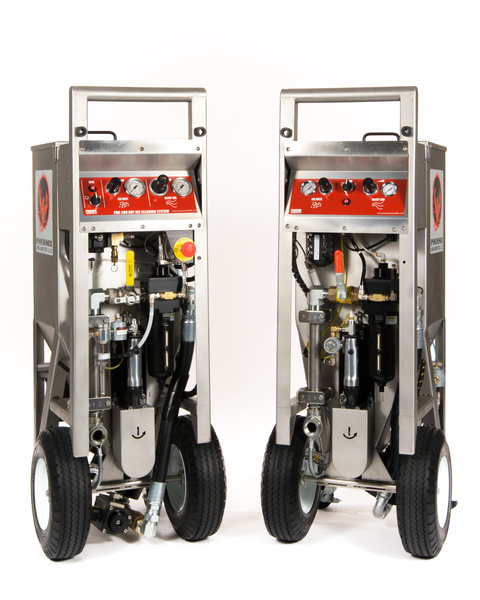 The unit requires minimal maintenance and has an upright frame and large wheels, making it easy to navigate in the toughest of environments. 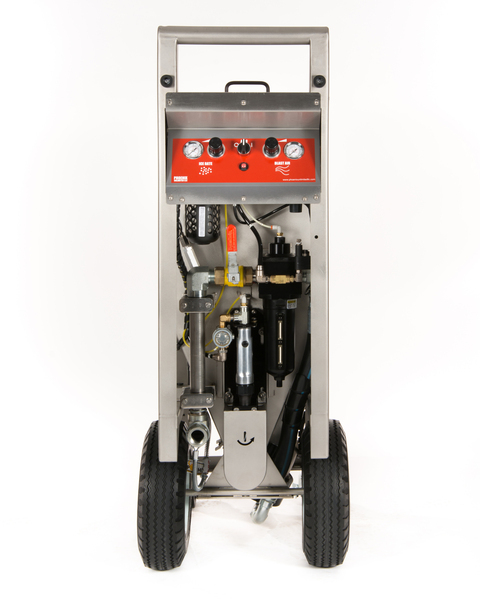 This unit can easily be serviced and repaired by the operator. 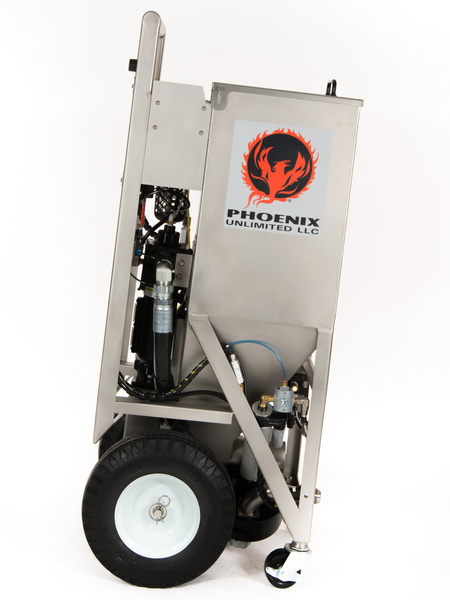 If you are looking for an effective dry ice blasting solution and need an all pneumatic option - the Phoenix PHX-150 is the unit for you!